It is imperative to clean / wash the inside of your shoes, especially the running / casual shoes, the one you wore every day. 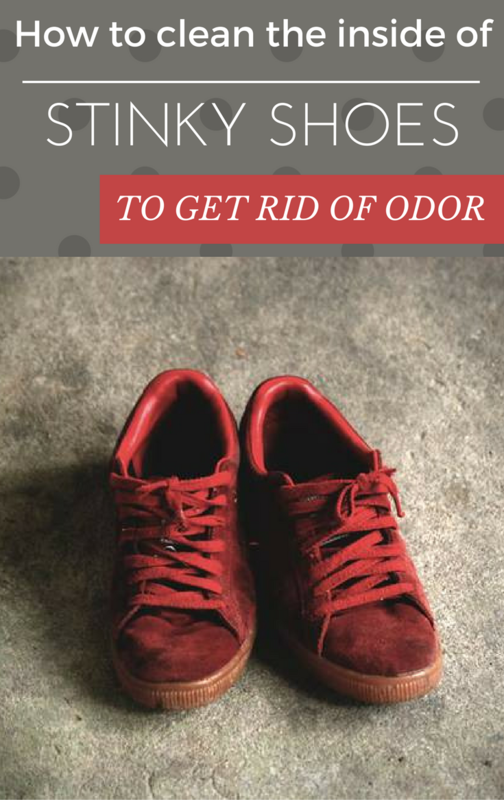 Inevitably, your feet sweat more or less, activating bacteria that cause odor – bacteria that are transferred to the insole of the shoe. If the casual sneakers can be washed in the washing machine, other types of shoes are more complicated to be cleaned inside. You can buy special cleaning solutions or you can use an old remedy with natural ingredients that you have in the house. 2. Mix one teaspoon of white apple vinegar with 5 teaspoons of water (keep the proportion in case you need a higher amount). 3. Soak a dishwashing sponge (new, obviously) into the mixture and squeeze it to remove the excess solution. Clean the inside of your shoes with this mixture then put the shoes to dry in a cool, well ventilated area. 4. In the evening, sprinkle a teaspoon of baking soda inside the shoes, shake them a little to evenly distribute the powder then shake them again to remove the excess. 5. Let the baking soda act overnight and gently remove it the next morning with a damp cloth. 6. The next day apply a disinfectant spray. For better results, you can use special antibacterial footbeds.